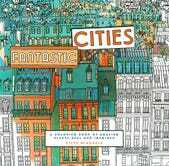 Steve McDonald’s Fantastic Cities: A Colouring Book of Amazing Places Real and Imagined features stunningly detailed cityscapes that will take you on a globe-trotting coloring adventure. 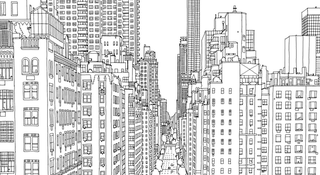 Over at the Guardian’s Cities site, you can grab several of McDonald’s illustrations in high res to print out or indulge in some desktop digital coloring. My current favorite is the distinctive rooftops of Paris view—and the attention to detail on San Francisco alone will keep you happily coloring for days. San Francisco. Can you spot the startups?